DMW Boss, Davido surface on the internet following his Headies 2018 Award win & this period he released a video of his second daughter, Hailey, taking her first steps. The ‘Assurance’ singer has shown to be kind in nature, caring and generous man after he bought a N45m Porsche car for his beautiful girlfriend chef chioma on her birthday. 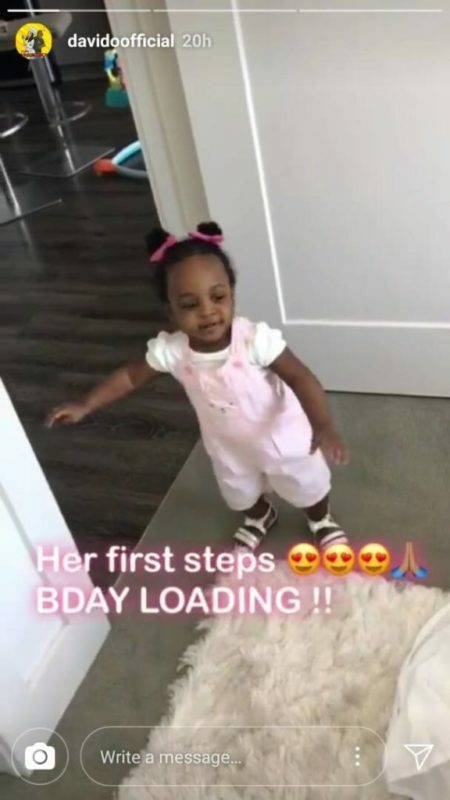 Davido’s 2nd babymama, Amanda, delivered to him a clip of their daughter, Hailey taking her first steps & the singer is overjoyed and showcase the video for his fans to see that he is a lovely father.